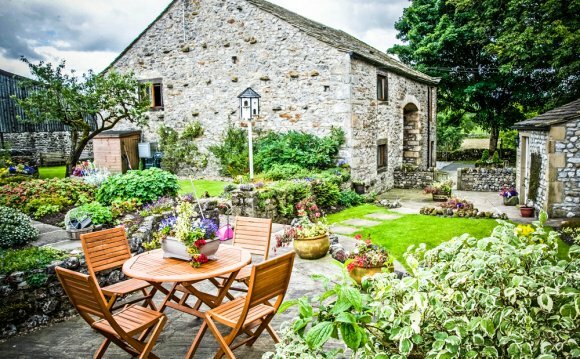 Horton Villa is located in the heart of Horton in Ribblesdale, a stunning Yorkshire Dales village which is the start of the legendary Three Peaks walk. The house has been carefully and sympathetically restored during 2014 and aims to provide a comfortable stay and a warm welcome to hikers and drivers alike! Bed and breakfast in beautiful Litton, Littondale in the Yorkshire Dales. Set in superb walking country, there is a friendly pub nearby offering real ale and good food. Long distance walks and cycle routes nearby include the Three Peaks, the Dales Way and the Dales Cycleroute. Malham with its famous Cove and Tarn is close by. Hall Farm B&B is close to Castle Howard and 10 miles from the historic city of York. Your host is a fully qualified chef and offers delicious, locally sourced breakfasts and dinners by prior agreement. Ideally located for Ebor Way and Centenary Way walkers, as well as a base for Le Tour in Yorkshire 2014. The Brush & Boot B&B is ideally set within the Howardian Hills, an Area of Outstanding Natural Beauty. There are numerous walks from the door, including the Centenary Way and a pleasant walk to baroque mansion, Castle Howard. Pickering and historic York are both within half an hours drive. Pet friendly. Little Pastures a smallholding set in 8 acres of lovely North Moors National Park with panoramic sea views such as the view shown. It is ideally situated for walking, cycling and close to the A171 for visiting the resorts, attractions and villages of the Yorkshire Coast an North York Moors. The Firs bed and breakfast with tearoom is in Summerbridge in Nidderdale, a designated Area of Outstanding Natural Beauty. This delightful Dales B&B and Tearoom serving delicious homemade food is close to Nidderdale Way and is an ideal holiday base for Harrogate and the Yorkshire Dales. In the hamlet of Easby with abbey ruins and a short riverside walk to historic Richmond and its Castle, Theatre, and new Station visitor centre, Easby Cottage offers two individually decorated bedrooms and a large guest lounge.